This week's outfit of the week goes to Freesia Blog! I love the idea of wearing a maxi dress and a jean jacket during the summer. It's so easy and yet so chic! 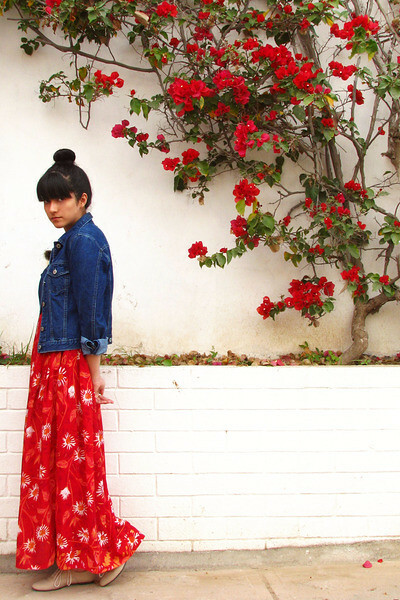 Freesia did a wonderful job in pairing this colorful red maxi dress with the rich blue jean jacket. It's so effortless and beautiful. Good job Freesia! Thank you Marie, what a lovely feauture, Im glad you like my look!!!! You have amazing and colorful pieces!! !